Landowner Data Request Form (link) – All fields are optional; please complete as much information as you can and email the completed PDF form back to JMLowrie@wateforum.org by February 28, 2019. Under California law, the Sustainable Groundwater Management Act (SGMA) requires the Cosumnes Subbasin to form a groundwater sustainability agency or agencies (GSAs) by June 30, 2017, and to have a groundwater sustainability plan (GSP) in place by 2022. These GSAs are now engaged in a collaborative group, called the Cosumnes Subbasin SGMA Working Group, to discuss developing a roadmap for creating a groundwater sustainability plan. 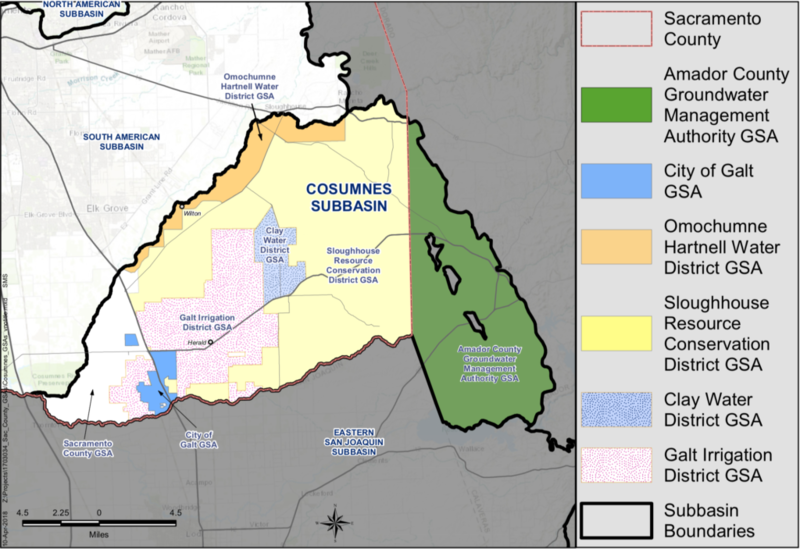 Note: Elk Grove is in the South American Subbasin — not the Cosumnes Subbasin — and Sacramento Central Groundwater Authority (SCGA) is your local groundwater sustainability agency. For more information about SGMA in the South American Subbasin, visit the SCGA website at www.scgah2o.org. The Working Group developed a plan to work closely with affected stakeholders including agriculture, environmental interests, rural residential well owners, tribal interests, and others. The GSAs recognize the importance of engaging stakeholders and the broader public in discussions related to groundwater sustainability plan development and implementation and commit to leading a transparent and inclusive process to foster the consideration of the beneficial uses and users of groundwater in the basin. View the Outreach and Public Engagement Plan. View current Groundwater Sustainability Agencies at DWR’s portal.